Tori was excellent, words cannot express the gratitude we feel for having such a professional person in charge of our dream day. She was very attentive and respectful towards our family. Their staff at that night was incredibly wonderful, respectful and friendly. The place seemed like a dream come true. impeccable words cannot describe the happiness I felt about having our dream day come true! Incredible views, beautiful beaches, gorgeous rooms and super fun staff. Our wedding on 2-9-19 was just a dream come true. Tori brought my nautical wedding vision to life and my guests were all blown away by how gorgeous the wedding was. Jessica was above and beyond wit us and Tori is just so damn good at what she does. We plan to stay here every year on our anniversary. I read reviews and saw photos of this venue on the internet. I was not disappointed. I dealt with Jessica over the phone regarding my wedding. I had never been to Sanibel and did not know what to expect. She was very helpful and had great suggestions and ideas. I highly recommend Casa Ybel. Everything discussed was as planned and the private room in the restaurant where we had our dinner afterwards was perfect. Great service and food! Our wedding was a couple weeks ago at Casa Ybel and we could not be more thrilled with our decision to have it there! We had a dreamy beachside ceremony and beautiful tented lawn reception–it was everything I had hoped of and more! I am still getting countless compliments from my guests– the food, the location, the ambiance. 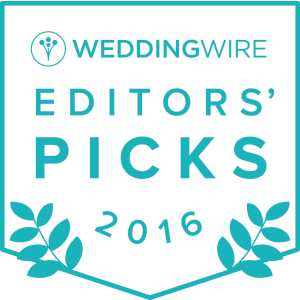 I had been planning this wedding for over a year, and Tori is AMAZING to work with– she’s quick and responsive and offers super helpful suggestions on anything you can imagine. If you are getting married in Florida (and especially if you are looking for a beach wedding) – Casa Ybel should be top on your list! I cannot say enough good things about our wedding festivities at Casa Ybel! The food and service from start to finish were excellent. Tori, the event manager , was amazing throughout the whole experience. She made planning a wedding from Maryland so enjoyable and stress-free. We hosted a welcome dinner and farewell breakfast at the resort, and I am so happy we did. The food was great and the location was perfect. Jeremy, the head banquet coordinator was so attentive as were all of the servers. We did visit a few other locations prior to making our decision to have our wedding here and I am so happy we made the choice that we did. The whole experience was an absolute dream. I have gotten so many compliments from guests about the wedding. I cannot wait to come back for future anniversaries.